Alter Ego regular Haris C and his debut artist album are finally here. As a pioneer of the Trance scene and sound engineer in Cyprus, Haris has crafted a beautiful album 'My Life' with a full range of Trance & Progressive including some break beats and house thrown in for good measure. There really is something for everyone in this master piece. 'Emotional Reflection' is up first for the intro. A chillout track with powerful vocals, low tones from the pianos early on and brilliantly placed percussions. The pianos develop and build throughout. The perfect opening for any set or album. 'Kyvelis Sky' is next up and is a break beat track with progressive flavours. A delicately uplifting piece at times and a real summer feel you could imagine driving along to. 'All About' is track three on the album which is a more commercial number with it's big vocals, pianos and guitars building at the start. The rolling bassline and groove provides plenty of energy throughout with lovely key changes and floating plucks. The first collaboration on the album is track 4 'Take It All Back' with Michael Angelo. Another vocal filled progressive Trance piece. The bassline is chunky and bouncy. Heavenly vocals and soft chords play through to the breakdown. This has the tempo stepping up and will definitely fill the dance floors around the world. Alexis Mixail joins Haris for track 5 with '11:11'. The pace increases further with this wonderful, driving Trancer. The mood is set with the plucks and rolling bassline giving a deep power. The lead layered with angelic voices will lift you up for the crescendo. Track six really gets the uplifting juices flowing with Ion Blue 'Never Let Go'. The kick thuds hard, the bassline is rolling, accompanied by acids and vocal fx. The mood softens in the breakdown with luscious lead stabs and pads that explode providing so much uplift. Peak time stuff! 'UR' is in for track seven. 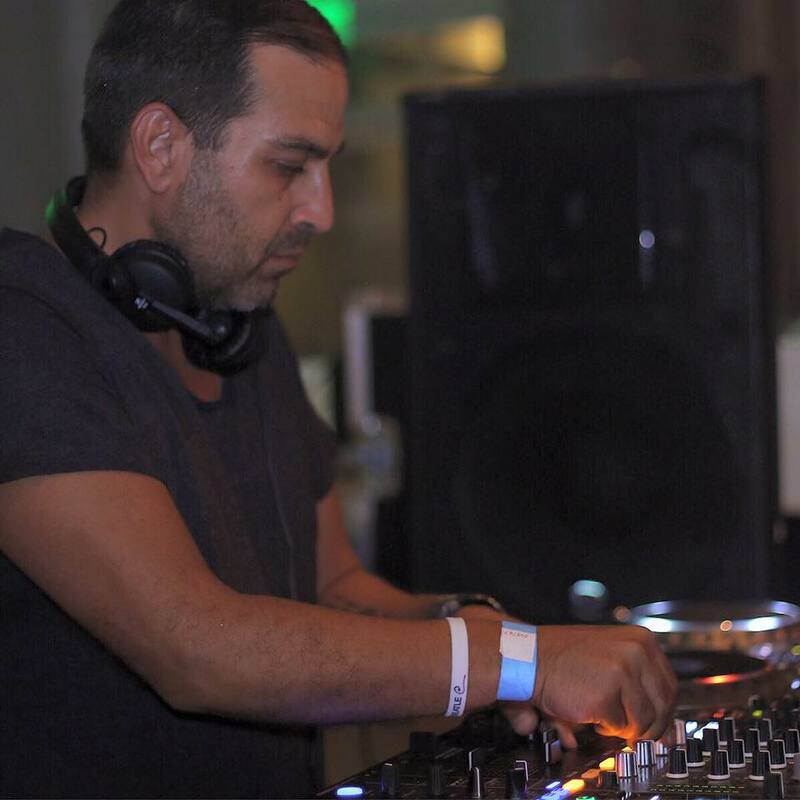 Haris and his more familiar sounding darker Tech influenced Trance is definitely in play for this monster. An acids packed banger with tonnes of energy. The emotion that comes from the breakdown pianos and vocal is a contrast to the raw power and is a real treat. Uplifting is the name of the game at this point of 'My Life' and it really doesn't let you down. Track eight 'Till Death Do Us Part' is another beast. Psy influenced and cleverly made, this sets the atmosphere early and is Haris C at his divine best. The fusion of Uplifting, Psy and Tech elements make this something to behold. 'Ayamonte' is the penultimate track and is another full on 140 powerhouse. Its relentless pace drives fast towards a breakdown of pure class. An old school Trance vibe in the break turns dark at the drop with acids and fury. To finish off the album we have a track that is hitting all the major clubs in Cyprus at the moment. Its a latin house number called 'Ritmo Caliente'. The most commercial track on the album and one for all the house lovers out there. This is so hard to not dance to as it has an irresistible funky energy. Get those Salsa dancing feet on for this. Dimitri: Back in time we have published couple of interviews with you with the latest one in 2010. Is it possible to give us an update of how your career has progressed from 2010 to 2017 with your big come back in 2016 in your own label Factual and 2017 with frequent releases on Tangled Audio and your full album My Life on Alter Ego Records? Haris C: Hello to everyone and Happy New Year! Well everything is pretty much the same, by releasing music that I love, playing music at events and radio stations. I had a break for about 3 years although I said I will stop but something was missing from my life and that was to produce music so I got myself together and started producing in 2016 and finally releasing my Debut Album in 2017, which was a dream come true. Dimitri: You had some break from producing and I wonder why you decided to stop your involvement with the trance scene? Was your decision based in personal reasons or because of the state in the trance scene? Haris C: Yes its true for both reasons! I have stopped producing or playing anywhere not just from my involvement from Trance Music but in general. The decision was pretty much the pick and was made right after I had finished a remix for a specific label. What happened was that as soon the promotion of the release took place my remix was NOWHERE! No you tube video no nothing like I was invisible! They just promoted only the Original & another Remix! Although my remix was the highest selling single in the Beatport Top100 sales Charts on No28! Until today I haven’t understood the reason why this happened! If you don’t like my remix don’t release it but since you released it at least show me some respect! As from that day I said that the scene is just like politics in real life so I had enough although all these years my tracks were being supported by all major players in the scene including! After all these years I have learned one thing and that is there are no friendships only in really rare occasions and when I was promoting & hosting evens here in Cyprus everyone loved me and wanted me to book them to play here but now its different! You see scratch my back and I will scratch yours! Here in Cyprus we have a saying: Lots of people hated Money but no one hated Glory! Dimitri: You came back in 2016 in your own label Factual. Are you going to carry on releasing music on this label or you will focus releasing on other labels as artist? Did you enjoy being the label owner for all these years and what lessons did you got if you decide to become more active as label owner again? Haris C: Yes there will be tracks on Factual but I will still releasing my music and on other labels and especially Alter Ego Music group because the guys Duncan & Luigi are amazing guys who stood next to me and supported me all these years and now with the Album and I will never betray them for any sort of reason. I’m Blessed & lucky enough on having people like that next to me. As a label owner I will only release my stuff and in rare occasions others. The label running needs time, money and huge effort to move on but due to my tight schedule its not easy. Dimitri: In 2017 you had some top releases on Tangled Audio and Alter Ego records incl Indigo, Mandala, Anahata etc. Your sound seems to more towards psy trance rather than continuing on the uplifting sound that the majority of people likes you. Why did you decide to produce psy with plenty of acid infusions and how do you describe your style of psy? Haris C: My music is there for everyone to listen either is psy or house. I really liked Psy since the beginning of my career but Uplifting was expressing my inner self better. When I sit down to make music I make music from what I feel that specific moment, my feelings, my mood and state of mind. Back in 2016 I wanted to experiment a bit more so psy was the music I really enjoyed making so Indigo, Mandala & Anahata were born. Dimitri: Do you have an explanation why psy trance is back on the game once again? Is the main reason the support that this style has from Armin van Buuren or do you believe psy trance has the finest producers at the moment? Haris C: Honest opinion? Psy was there never left same as Trance in General. Lots of EDM styles came but gone and yet Trance in general is there and will never go away. Armin has the biggest influence on the scene no matter what people say or do & he is a position to experiment more than anyone else and that happened with his collab with Vini Vici. When he decides A everything goes to A, when he decides W everything goes to W. Simple as that & In order not to be taken wrong Psy has so really amazing and talented producers. 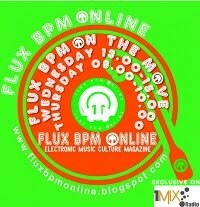 Dimitri: Who are the psy trance DJs and producers that you respect the most and why? Haris C: I was always a fan of Astral Projection, Astrix, Kalki , Hilight Tribe, Avalon, Yahel etc. I respect every single producer on earth for providing to the World Quality Music. Dimitri: Let’s now talk about your album My Life that includes wide variety of styles even some house tunes. How long it took you to produce it and did you produce it as full time occupation or only when you had some free time? Haris C: Basically the Album took me around 1.5 years to be done. It wasn’t a full time job due to my daily work so when I had free time I worked hours for it. As for the name Album, I would say that it’s a chance for an Artist to show to the world what he/she is capable of producing. I know that a lot of people who know me expected full on Trance but that wasn’t the deal. I wanted to experience more styles different sounds for more audience. 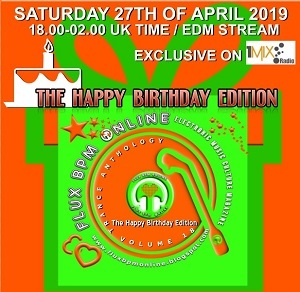 I really enjoyed doing it providing styles of latin house, break beats, chill out, Trance & Psy Trance. I love music in general and if you ask me if I would have done it again the answer will be yes 100%! Dimitri: The album is called My Life and I wonder if the title signifies something about Your Life and how your life is reflected on the tracks of this album? Haris C: Yes it does! Every Song Title has a meaning & a stigma of My Life of the past 10 years. A lot of things took place in my life and the only way to express the feelings that I have inside was through Music. My daily life just like all of you has an impact or reflection everyday and there are moments in life which made me who im today and who I will be tomorrow. Im not the same like I was 30 or even 20. Everyday is a fight either at work, home, family, relationships etc. I never gave up and never will do so in my life cause it’s teaches me every day and music is my answer to Life. Dimitri: On the album you have collaborations with Alexis Mixail for the epic 11.11, with Michael Angelo for the proglifting vocal smasher Take It All Back and Ion Blue for the euphoric Ibiza sunkissed banger Nevel Let Go. How these collaborations came about and did you enjoy working with the fellow Cypriot producers? Haris C: Hell yah! Lots of fights with them. Just kidding! I really enjoyed working with all of them and the reasons I have chosen Cypriot Producers are mainly 2. First of all Louis & Michael we know each other for more than 15 years on which they stood next me and helped me a lot throughout my career in many ways, so by asking them to be part of the Album was a way to say Thank you for your help & Second but not least I have chosen Alexis because I see a great talent coming out for the years to come so I gave him the chance to show to the world what he is capable of doing with music and I must say that he is one to watch out. Dimitri: Ritmo Caliente goes the tribal festival season house way while Kyvelis Sky is chill out and relaxing. Why did you wish to produce tracks that are not your style and do you see yourself producing more mainstream sounds like Ritmo Caliente? Haris C: Like I mentioned earlier I wanted to expand to different styles of music that I do like and express myself. I just didn’t want to do a full on Trance Album since I can do that with Singles so by adding new Styles to the Album, made me wiser by also knowing that yes I can produce other stuff to. Honestly I love Ritmo Caliente since it has that nice groove & summerish feeling to it although Kyveli’s Sky is a Break Beat which when I was younger I use to play & listen to Break Beat Tracks. Dimitri: How long it took you to produce a track and from this album which track was produced quicker and which one was the hardest to finish and why? Haris C: If I remember well the only track that gave me a bit of headache was UR. It took me about 2 months or so to finish it because in that specific track I wanted to give more euphoric more full on Trance more festival kind of feeling so I had to change it for more than 4 times until I get when I wanted out of it. The rest were normal about a month each, not to mention that I produced 16 tracks and chosen the best 10. Dimitri: Do you consider an album as the milestone moment in the career of any producer and is this album a turning point in your career? Haris C: Personally speaking my humble opinion is no, I don’t think so. An Album for me is gathering 10-15 tracks all together to compose a story and serve it to the audience. Maybe for someone else it’s a milestone or a turning point to their career but not for me. Like I mentioned I just wanted to tell a story and share my story to the world and the only way to do so was via the Album. Dimitri: Can you describe to us your studio and what software and hardware you have used to produce this album? Have you done any major upgrades in order to achieve fresher sound? Dimitri: 2018 has just arrived so I wonder what the plans are for the New Year production and DJing wise. Have you finalised any tracks or remixes for 2018 and in which labels? Haris C: Yes I have some new tracks & remixes in the pipeline at the moment on which I am working on but I need to finish some Club Mixes for the Album since the Album Tracks are going to be released individually with remixes added. As for DJing unfortunately I have lack of time to deal with it at the moment due to my tight daily schedule, plus one major issue that we have here is that there is no EDM scene here so I'm trying to do my best to bring that beat back to CY. There are going to be 3 major events that will take place here within 2018. Dimitri: Are you going to pursue the international side of your career and attempt to get gigs in other countries as well? Are you signed with any agency for that reason and do you feel that is important to have an agency to support and push you forward? Dimitri: Do you perform in clubs and festivals frequently in Cyprus and do you still continue your regular radio show? 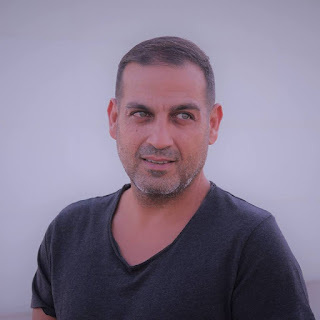 Haris C: Unfortunately there are no Clubs is Cyprus that do play EDM except Guaba in the summer. When there is a chance to do so I do play either is a festival or gig. I'm about to launch an online Radio Station that will play 24/7 EDM quality music in order to help this situation and get more people closer to the music that we all Love. Dimitri: Which event you have performed in 2017 was the best and why? 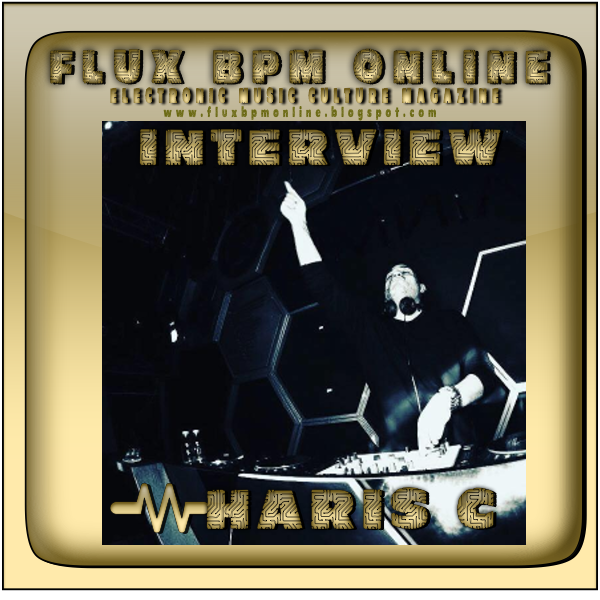 Haris C: The ‘My Life’ Album launch party was my favourite not because it was mine but because 8 DJs made 600 people dance from 22:00-05.30 nonstop and people love it! Dimitri: Finally please give us your advice for any new trance producer who wish to come forward? Is it possible to dream bigger and reach his/her aspirations? Haris C: Just work and try to experiment your sound and style. Don’t be generic try and be unique and never stop dreaming. Place your goals on a paper look and it every day until you reach & fulfil them. If you stop dreaming it means you are dead!